Near mint Meade ETX90-EC Everything works perfectly, and it looks perfect! It's in near mint shape with no visible scratches or dings! Type Catadioptric. About this product. Product Key Features. Mount Type Altazimuth. Product Identifiers. The Meade ETX-90EC telescope is a portable observatory designed for both astronomers and amateur stargazers. With 90mm Maksutov-Cassegrain optics, built-in flip mirror mechanism, and fast and easy alignment procedure, this telescope allows users to easily locate moon craters, cloud belts on Jupiter, Saturn's rings, and more. With a 1250 mm focal length and a f/13.8 focal ratio, celestial observations have clarity and detail. The AutoStar Suite Planetarium software allows total computer control of the mount and telescope, and access to a database of over 30,000 celestial objects. Weight is less than ten pounds, so the telescope is lightweight and easy to transport. item 7 Meade ETX-90EC OBSERVER Telescope with Celestron lens and filter kit & more! -Meade ETX-90EC OBSERVER Telescope with Celestron lens and filter kit & more! For the price ( $250) I can't imagine a more powerful scope. 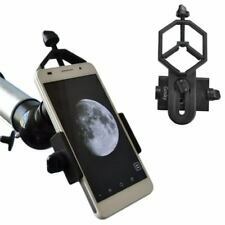 It's a great tool for stargazing, and of excellent quality. Downsides are it's dated, and difficult to find parts for. Meade's website is poorly constructed, making many accessories very difficult to find. Software hasn't been updated in years. When you do find them, you'll easily invest more than the cost of the scope in needed accessories. I bought the Telescope, for Christmas, to encourage my two Grandsons' interest in star gazing. I like the portability and easy set up. The weather has been below zero, as a result, it will have to wait a few more weeks for extensive use. The only downside is that it does not focus well when calibrating the spotting scope. It may need a more thorough lens cleaning, which should only be done once every two years or so. Overall the quality and availability of accessories are why I chose Meade.